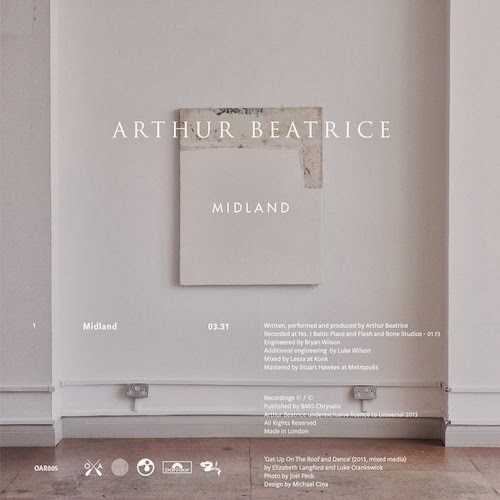 When I first heard Arthur Beatrice's previous 2013 single Grand Union, I thought to myself, "Is organic pop by male vocalists coming back?" And then, nevermind the pun of Bea Arthur, this single appeared and I realized the answer isn't so simple, because Arthur Beatrice is a four-person band, none named Arthur. They actually have two lead vocalists, Orland Leopard (yes!) and Ella Girardot. This is bass / drums / keyboard / guitar, with slivers of electronics, and it sounds remarkably fresh. The Orlando-led Grand Union has moments of beauty that give me chills (check 3:20, when the choral vocals come in after a lengthy middle eight). Arthur Beatrices's debut album, Working Out, is due on February 24. They're on iTunes worldwide now. File them in the A's, not the B's! Did you go to their show at Cargo last night? I didn't, did you? I should ask around. A friend saw them in Paris recently and said they're great live. Yeah it was good, you should have gone. One of the opening acts were https://soundcloud.com/weareiyes and are ones to watch for sure. Oh ok, I just assumed from the username... yeah go.